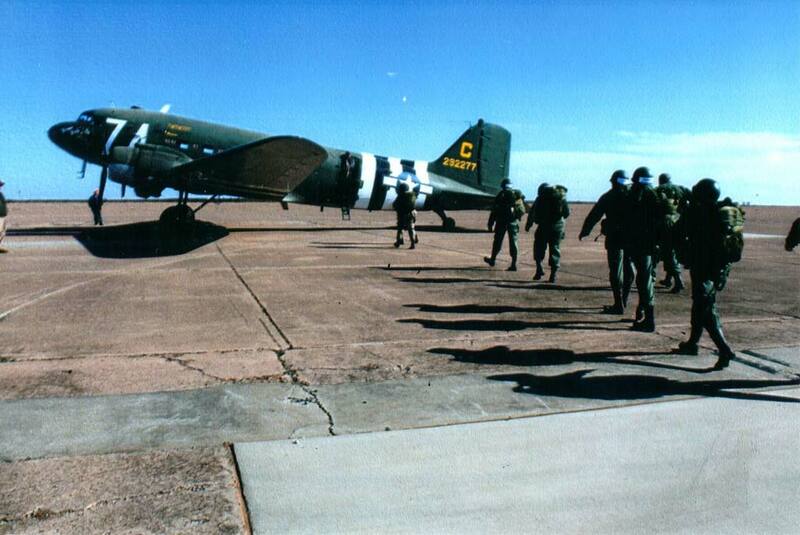 Oklahoma’s WWII Airborne Demonstration Team keeps paratroopers’ history alive in Frederick. Charles W. Sasser (right) prepares to jump with the WWII Airborne Demonstration Team. 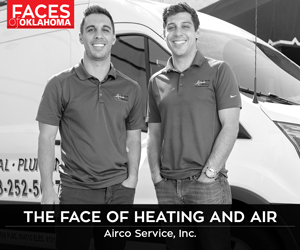 It is always the 1940s at Frederick Municipal Airport on the plains of southwestern Oklahoma, and America is at war. A C-47 Skytrain, called Boogie Baby, belches smoke as it exits a massive wooden hangar. Troopers wearing World War II uniforms and gear board it to complete parachute jump school and earn the honor of becoming full members of Oklahoma’s WWII Airborne Demonstration Team. The group reenacts parachute combat jumps made more than 70 years ago in places like Normandy, Sicily, and Arnhem, Holland. As a military historian, author and new ADT volunteer, I take a step back in time to crowd into the fuselage of Boogie Baby with the other troopers. In a few minutes, we will hurl ourselves into the howling wind. 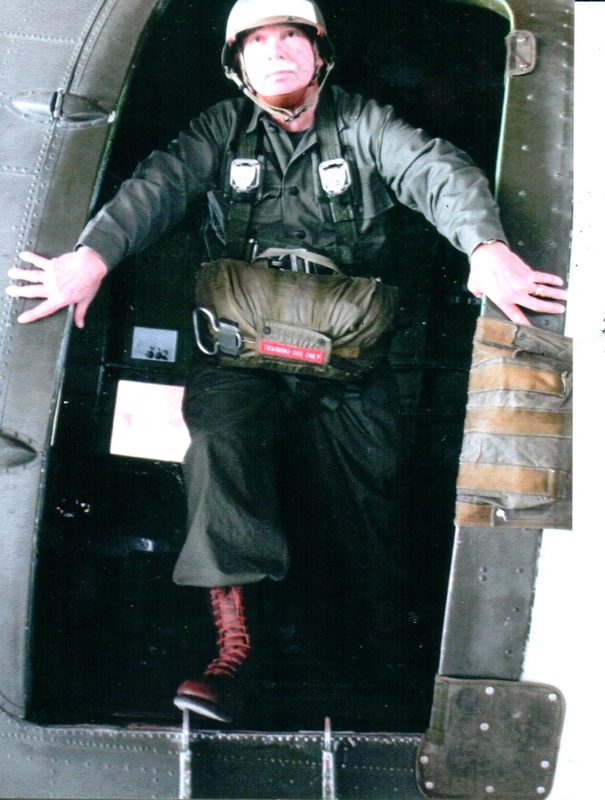 As a member of the U.S. Army Special Forces (Green Berets) for 13 years, I made many parachute jumps. Now, as I prepare for my first exit in over 30 years, I feel like this really is my first jump. Now, at 1,200 feet above an open field that serves as a drop zone, I wait for the jump master to open the door and initiate the command countdown. We snap in static lines and rush to get out. 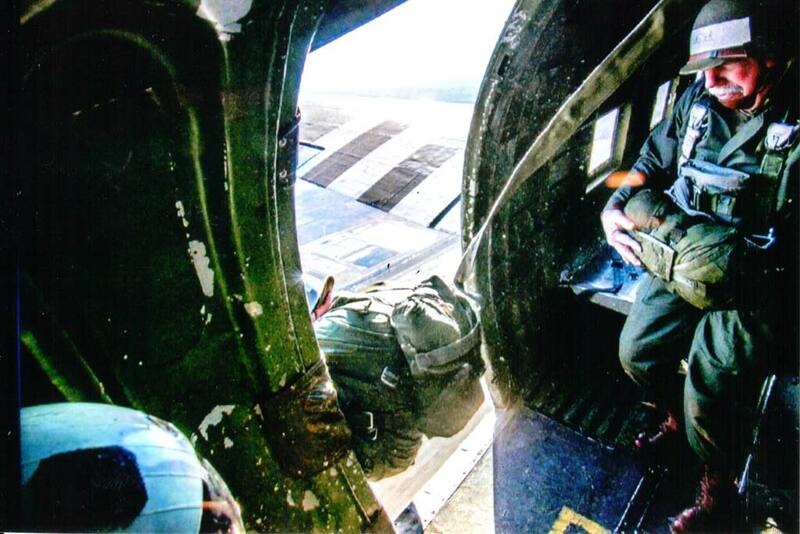 It always astounds me how fast paratroopers can exit an aircraft. Out the yawning door into space, plummeting toward earth, followed by the jolt of the opening parachute, I’m suddenly floating gently in the morning sunshine. The sky blossoms with floating canopies. Later in the dusty hangar, a veteran muses as he looks around at the vintage airplanes, vehicles and other displays from an era that has largely disappeared into history. Retired Green Beret Richard Wolf founded this living memorial in 1998. U.S. Airborne forces were a prominent, enduring symbol of the WWII era. The hangar, part of the Frederick Army Airfield that trained fighter and bomber pilots in 1942, has become a WWII museum and a working airborne base to accommodate “dogfaces” for training and operations. In 1999, ADT acquired Boogie Baby, built in 1941 at the Midwest Air Depot (now Tinker Air Force Base in Oklahoma City) and used during the war. A second aircraft, Boop B. Boop, soon followed. Ranks of ADT participants and reenactors are filled with jumpers and non-jumpers, people of all ages and walks of life contributing to ADT’s mission. Jump schools, patterned after the U.S. Army Airborne School, are conducted twice a year. The course, over nine rigorous days, culminates in five parachute drops. Male and female recruits come from all over the country – and some from as far away as Australia. For further information, visit wwiiadt.org.